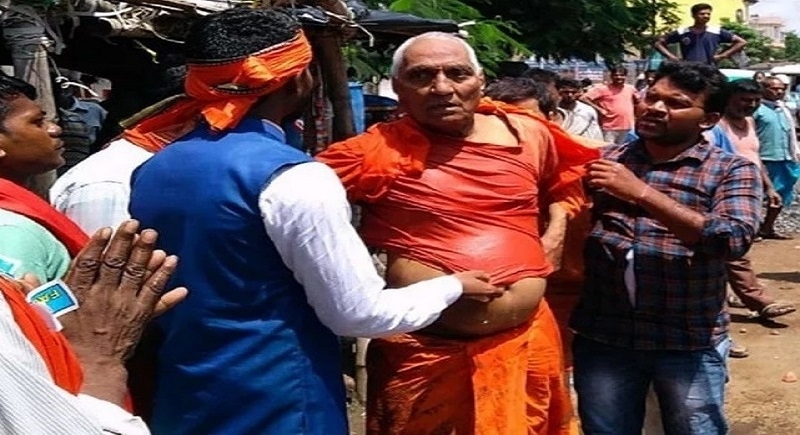 Nagpur, July 20: Swami Agnivesh, who faced the people’s wrath for denigrating Hindu deities and insulting Prime Minister Narendra Modi, has found a global sympathiser in World Council of Churches (WCC) that condemned the attack on this ‘renowned social activist’ in India. Rev Dr Olav Fykse Tveit, the General Secretary of the WCC, a Geneva based umbrella organization of the protestant churches worldwide including the National Council of Churches in India (NCCI), has issued a statement condemning the attack on Swami Agnivesh in Jharkhand state in India. Tveit said in a press statement issued from WCC HQ at Geneva, “A violent mob of alleged fringe fundamentalist groups in the Pakur district attacked Agnivesh on the same day as a Supreme Court judgment called mob lynching unacceptable and holding the local administration, the state and central governments responsible for preventing it”. Tveit expressed both shock and sadness at the attack. “Swami Agnivesh, a Hindu monk and president of the World Council of Arya Samaj, has been a committed advocate of justice and peace and has always identified himself in solidarity with the poor and marginalised,” said Tveit. “He has consistently sought to build bridges between faiths and has been an outspoken critic of all forms of religious fundamentalism”, the WCC official said. Tveit urged people to pray for Agnivesh as he continues to recover. “This is also an attack on all moderate and inclusive perspectives on religion,” reflected Tveit. However, Tveit has conveniently forgot to make any comment or condemn the selling of baby’s by nuns associated with the ‘Missionaries of Charity’ founded by Mother Teresa or sexual abuse of nuns by the Bishops in Kerala. Because that would have a direct bearing on the Church organizations like WCC or CBCI and it is always easy to target the Hindus in the name of ‘fringe elements’ and defame the genuine organizations of Hindus.